Ossau Iraty, a cheese made from sheep’s milk and produced by Fromagerie Agour, has been crowned World Champion at the 2011 World Cheese Awards – the world’s largest international cheese competition. The winning cheese is one of only two sheep milk cheeses with AOC status in France. 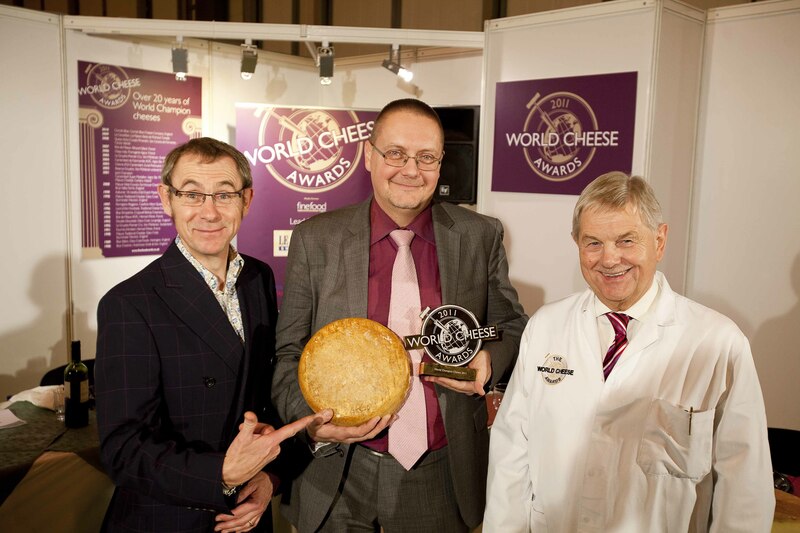 Demonstrating its appeal, this is the second time the French cheese, which was submitted by Frédéric Gayral from the UK importer QST, has been crowned World Champion, having first won in 2006. Hosted at the BBC Good Food Show on23 November 2011, over 200 international judges tasted over 2,500 cheeses from 30 countries during the morning session. These were whittled down to 55 supergold award winning cheeses by mid-afternoon. The Supreme Panel, made up of 19 experts from 12 countries, each chose their favourite cheese to champion in the final judging. Ossau Iraty AOC, made by Fromagerie Agour, a small family run business, was finally crowned the World Champion Cheese 2011. Cornish Blue (UK), which was crowned World Champion in 2010 came a very close second and Sartori Limited Edition Cognac (USA) came third. The World Cheese Awards also hosted The Great Cheese & Pickle Sandwich Challenge judged by Bob Farrand, The Sunday Times’ Lucas Hollweg, BBC Radio’s Bill Buckley, Charlie Turnbull from Turnbull’s Deli and Debbie Atherton from Deli of the Year, Arch House Deli in Clifton. The title was won by Giancarlo and Katie Caldesi with their Goats Cheese, Watercress, Beetroot and Damson Chutney combination. Aldo Zilli came in second place, with Thomasina Miers coming in third. Other contenders included James Martin, Celebrity Masterchef winner Phil Vickery, James Sommerin Chef at the Crown in Whitebrook, Gregg Wallace, Alex James, Nigel Barden, Amy Lamé and Charles Campion. Ossau Iraty is available nationwide from www.frenchfoodfreaks.co.uk.